Once you’ve picked your engagement ring stone, your next challenge is picking the right engagement ring metal. There are several options, but for most people it will come down to a choice between gold and platinum. Our take is to go with platinum. At the time of writing, platinum is only a little bit more expensive than white gold, and it’s more durable. Of course, if you want a warmer look, than go with yellow gold. There’s no shame in that game. Below, we unpack the differences between these two leading precious metals in detail, and also present some alternative materials, in case you want to go completely off road. Platinum will never dull or tarnish, and its exceptional strength and durability make it ideal for complex and intricate engagement ring designs. It’s also the rarest of the precious metals—30 times rarer than gold, in fact—and consequently, the most expensive. 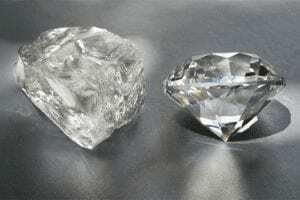 Platinum has a white color, which is good for making the diamond look bigger, and highlighting the details of the setting. If Platinum is a Mercedes Benz, then gold is a BMW: Arguably less prestigious, but still pretty baller. To make things confusing, gold is measured in karats, which sounds like one of the four C’s of diamond buying but is completely different. 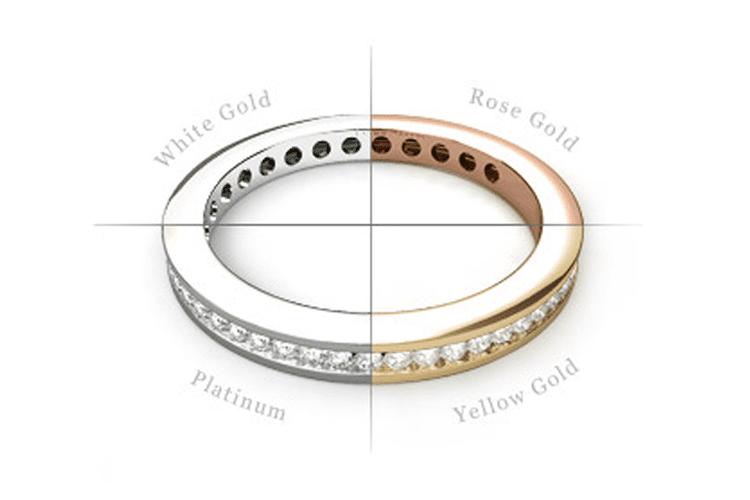 Karats measure the purity of the gold, which in turn affects the color and strength of the ring. Pure gold (24k) is so soft that it has to be blended with harder metals to make it practical for jewelry. The two most common blends are 14K (58.3% pure) and 18k (75% pure). 18k has a richer look, but it may not be noticeable enough to merit spending the extra cash. To make things even more confusing, gold comes in different shades, depending on the metal with which it’s mixed. Yellow gold is what the stuff inside Fort Knox looks like. 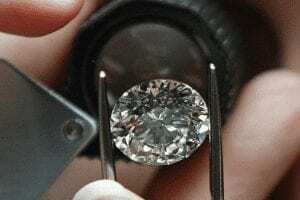 When it’s mixed with white metals like rhodium, it’s called white gold and looks similar to platinum. Mix it with copper, you get rose gold. Which should you choose? That depends on your budget, and the effect you want. As with platinum, white gold makes a diamond appear bigger, and if your girl likes her bling cold and icy, that might be a way to go. Yellow gold will warm up a diamond with it’s reflection, while rose gold is more feminine and romantic. 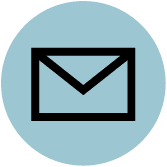 If you’re working with a jeweler, ask he or she to show you the different options. Palladium is similar–though not as nice–as platinum, and though it’s less white, it is lighter, which might appeal to the really petite brides out there. There are not a lot of jewelers who work with palladium: it’s mainly used for cars, dental crowns and electronic capacitors. Expect prices to comparable to, or less than, gold. Very hip, very sleek, very space age. Titanium is freakishly strong and durable—much stronger than steel. 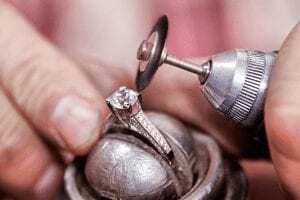 While it’s comparatively affordable, the labor required to actually make it into a ring adds to the cost. Looks exactly the same as regular gold, but gives you the benefit of appearing “woke” on the environment. A lot of small, indie designers make a point to use recycled gold, so you’ll be able to say you stuck it to Big Jewelry as well. Meh. Silver is not as strong, durable or resistant to nicks and scratches as other precious metals, and it tarnishes like crazy. 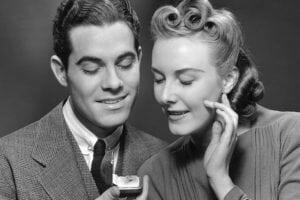 Most jewelry stores won’t even offer it as an engagement ring option, though you can find some online. Expert tip: silver can’t be easily resized, so if you’re going this route, make sure you have her finger size right. When picking a metal for the engagement ring, start with platinum and work your way down, depending on the effect your girl will love best.